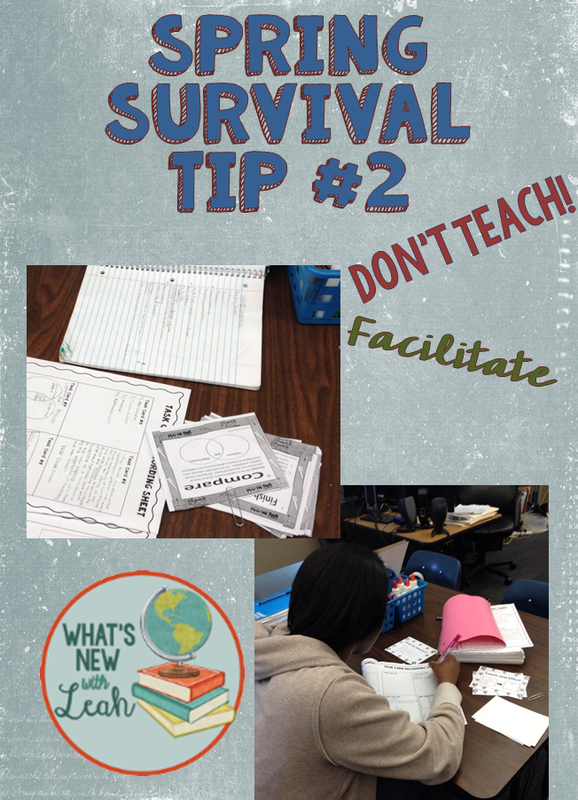 I'm (thankfully) almost through counting down to summer break with my Spring Survival Tips. If you're just finding this, be sure to go back and check out my other Spring Survival tips--9, 8, 7, 6, 5, 4, and 3. These last two weeks drag on forever and ever. And ever. And today, I did something that I knew waaaayyy better than to do--I delivered a lecture. It was short (maybe 10 min.). There was an accompanying Prezi. There were pictures, film snippets, and very little text. It delivered interesting information. I told a fun story. The students couldn't tell me a thing about it when it was over. It was a COLOSSAL WASTE OF TIME. So that brings me to Spring Survival Tip #2: Don't Teach--Facilitate. 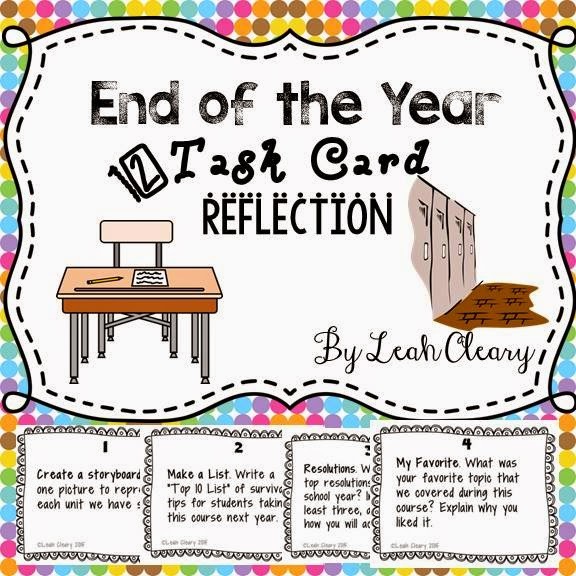 The second part of my lesson was a task card review set that they did in pairs. And you know what? They did it. They were on task, and all I did was monitor and answer questions. I was given my own lesson, and it has become much more pronounced to me over the past five years--the students just don't hang on to my stories like they used to--times have changed, like they do. I can either roll with the punches or go crazy. I'll go ahead and roll, thanks. 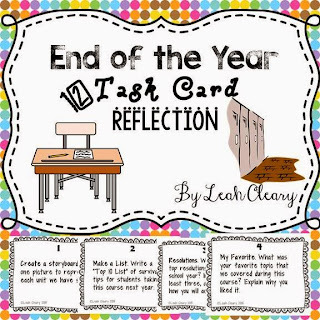 Here's a reflective task card freebie for the end of the year. Use it in good sanity, and get feedback while you're at it. 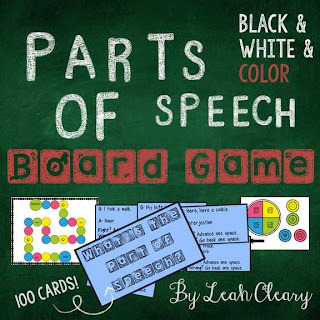 Also, full class review games turn to chaos (for me, anyway) here at the end, so I try to do small group review games. Board games, card games, whatever works! Here's an example of one. What do you do to facilitate learning and preserve your sanity in the last couple of weeks? Leave a comment below to let me know!